$500* move-in allowance on leases signed before April 30th. New luxury condo-styled apartments for rent in Ottawa's Little Italy. Move-in February, 2019. Visit our model suite today! 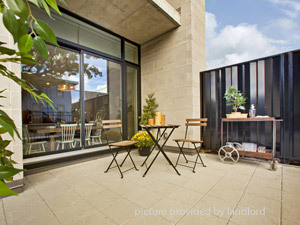 Realstars Nuovo offers brand new, 100% smoke-free condo-styled apartments for rent in the Dow's Lake area of Ottawa. Nuovo is conveniently located right in the heart of Little Italy, close to all the shopping, entertainment, trendy bars and restaurants and the scenic Dows Lake waterfront park. These luxury, modern apartments feature private balconies with scenic views of Dows Lake, stainless steel appliances (including dishwasher), premium finishes such as quartz countertops, built-in breakfast bar and luxury vinyl plank flooring. Nuovo offers great amenities such as a fitness facility, a social room, and rooftop lounge. Live well with 24-hour on-site management. Realstar strives to provide you with a superior living experience and exceptional resident care. We organize social events that foster a sense of community. Realstar buildings are safe, impeccably clean, well maintained and environmentally efficient. The rental office is open daily with a 24-hour application approval process. Realstar makes renting easy. Call us to find your new home today! *Prices, incentives, availability and specifications are subject to change. Images may not reflect actual suite finishes. E. & O.E.